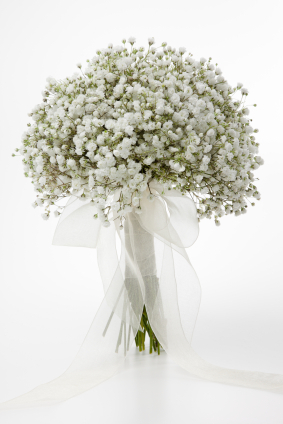 The sweetest presentation bouquet of clouds of babys breath that can be made in any size. Perfect and loved by all. This presentation bouquet shown app. 12″+ diameter. Often butterflies are requested to give it a fairy essence.